BURP! The Asian Food Gallery, 4th Floor, Bangsar Shopping Centre, 285 Jalan Maarof, Bukit Bandaraya, 59000 Kuala Lumpur. Part of the Marufuku chain. From the entrance between La Bodega and Chinoz, go into the mall and keep heading straight until you reach an escalator at the end, near Marquise. Go to the 4th floor and you'll see Subway as you leave the escalator. Turn right and you will see Burp! 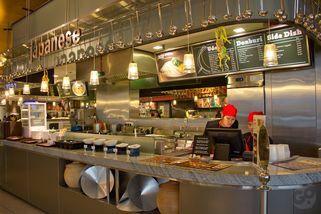 The Asian Food Gallery food court. Marufuku operates the Japanese counter in the food court. 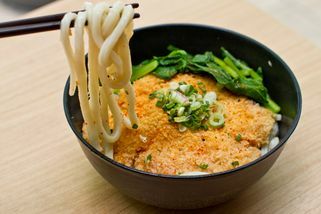 One of the few Japanese handmade udon (wheat noodle) specialists in Malaysia, Marufuku’s concept is modern Japanese casual dining. 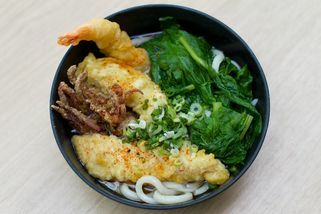 Marufuku offers a variety of udon - handmade daily and delivered fresh – as well as other dishes from as little as RM6. 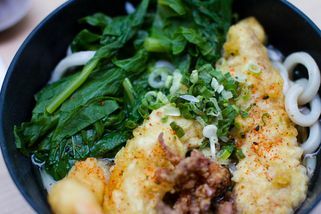 A serving of udon will come in either cold or hot broth made-to-order within minutes. Customers get to pick and choose from a variety of delicious crispy tempura-type toppings such as Ebi, Kakiage, Pumpkin, Mushroom, Eggplant, Lotus Loot, Squash and Sweet Potato. 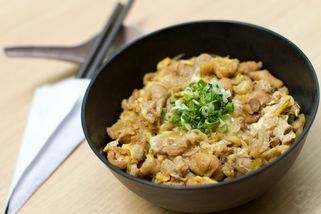 Other specialities here include Oyako Don,Tempura Udon and Chicken Katsu Udon. 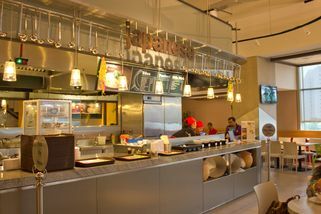 This branch in Bangsar Shopping Centre’s “Burp! 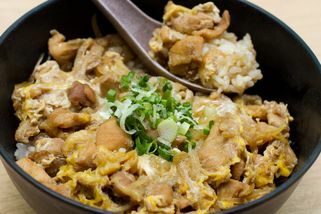 The Asian Food Gallery” food court operates the stall labelled “Japanese” and does not offer yakitori unlike the Jaya One outlet. Ordered Wakame Udon and it tasted really good. Though the texture is a bit chewy but it worked well for me. The prices are cheap and reasonable. The staffs are helpful, too. Recommended and explained each dishes quite thoroughly.